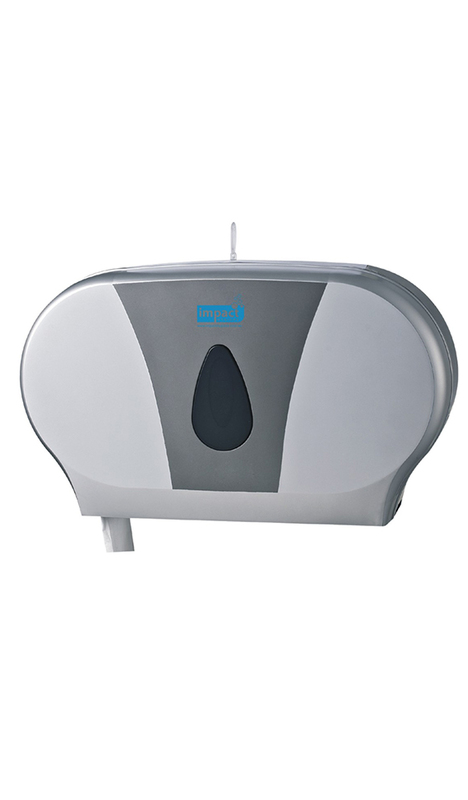 Double Jumbo roll, wall mount, Silver & Grey toilet tissue dispenser. Modern and slim line. Anti theft. Install with Jumbo rolls; centre diameter 4.8cm to 7.8cm.